In 2014, leaders from across sectors in Albuquerque gathered around a table and asked: How do we change the course of our economy? What will it take to truly adapt to new economic realities and create a functioning and prosperous economy? How do we address economic disparities in our city and tackle poverty? Albuquerque has been slow to recover from the Great Recession. Our unemployment levels have stayed out of step with the national trends, out-migration has left us with a negative population gain, and poverty levels threaten the economic and social fabric of our communities. It became clear we needed to focus on job creation, but not only jobs in high-growth sectors. We also needed to focus on sustaining and creating jobs that provide a ladder of opportunity through main street businesses and microenterprises which are an essential part of our local economy and part of the diversity of assets in the community. 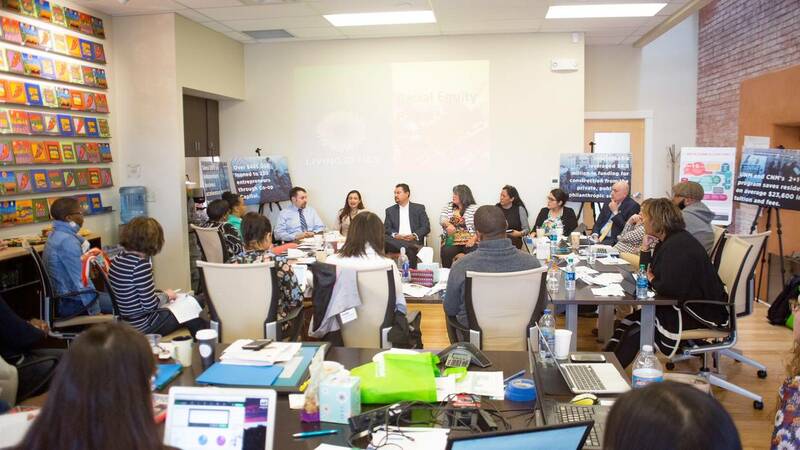 Through coordinated shifts in education, financial, business, government and nonprofit institutions, City Alive, which is a part of Living Cities Integration Initiative, is contributing to an ecosystem in Albuquerque that supports homegrown entrepreneurs from diverse backgrounds at all stages of their growth. Our Leadership Partners, who comprise 20 key institutions and organizations across Albuquerque, share an ability to reallocate resources and change systems in alignment with the shared vision of job creation, racial and income equity through innovation and entrepreneurship. Together, these bright and dedicated leaders have set a course to address our toughest economic challenges. Starting a business is not easy for anyone, but it’s even more difficult for low-income people, and still harder yet for entrepreneurs of color. We have worked over the past three years to understand how we better connect systems, remove barriers, and lift up first-generation Americans, people of color, families in poverty and immigrants. Business owners are 1.69 times more likely to be white than people of color, well above the national average, which is unacceptable in New Mexico, a state in which people of color are the majority. Many immigrant business owners do not identify as entrepreneurs and are unaware of resources targeted to entrepreneurs. Many communities lack trust in institutions and government. Financing is challenging as many low-income and minority adults lack collateral like a home or good credit, and don’t have bank accounts or personal savings. Race- and gender-based bias exists in credit and venture capital markets. Many have limited access to public transportation, childcare, tax prep, marketing, or advertising. Knowing what was holding our city’s potential entrepreneurs back, we set out to reconstruct the systems that were stacked against them. First order of business: jobs and access. We are focused on innovative solutions that address the barriers for low-income people and people of color to start their own businesses and to be upwardly mobile – and we’re having success. We must remove the red tape at City Hall, remove barriers to capital access, and allow new ways of financing projects and entrepreneurs. We are streamlining processes for entrepreneurs through programs like TrepConnect, Co-Op Capital (an alternative lending model) and integrated workforce development. City Alive acts as the “hub organization” that finds gaps and strengths within our entrepreneurial ecosystem and provides shared functionality, building services, and solutions that add capacity, increase integration, and meet people where they are. Programs like our navigator programs are being piloted to meet this need. Our public sector in Albuquerque purchases over $1.5 billion in goods and services each year. Over the last year, Albuquerque anchor institutions have been drilling down into where public dollars are spent and how changes in their spending can better support locally-owned businesses to impact Albuquerque’s economy, adding jobs and increasing wages. In addition, the City of Albuquerque is partnering with the Albuquerque Hispano Chamber of Commerce and City Alive to implement new systems that encourage purchasing from historically disadvantaged business owners. Through City Alive partners, new and existing programs that focus on immigrant and Spanish-speaking entrepreneurs increase access to business development, training, and capital opportunities. The Albuquerque Hispano Chamber of Commerce’s Emprendedores program and the South Valley Economic Development Center’s TAZA are excellent examples of partner programs supporting Spanish-speaking entrepreneurs. Many people face barrier after barrier in securing capital to start or expand businesses that are the lifeblood of their families. We have to consider our capital models and who is accessing funds to start, scale and sustain businesses. Co-Op Capital is a pilot project that is changing lending policies to rely on community-based institutions and relationships. For those who are being turned down for loans by everyone, even alternative lenders (which are unable to lend without pulling credit reports and requiring collateral), Co-Op Capital provides a new path to small business loans. It supports start-up success through the co-location of incubators, accelerators, free classes, and workshops. It creates shared workspace and maker spaces accessible to the community at large. It will offer multi-lingual programming. It offers direct accessibility by public transit, even from the far reaches of the city. It offers directed education pathway programs like the innovationAcademy and 2+1+2 to increase access to educational opportunities. In addition, by deploying government funding through capital outlay on infrastructure projects in the Innovation District (installing fiber cable along our central corridor) and public transportation (Albuquerque’s recently launched Bus Rapid Transit), the accessibility of the space is further increased. Each of these efforts is a piece of the larger puzzle, creating the support network necessary to meet entrepreneurs where they are and give them what they need to grow a business. In 2017, the first two quarters were the strongest for number of new business registrations in Albuquerque since 2012 with more than 1,400 registrations each quarter. Quarterly business registrations have also had their highest year-over-year growth in 2017 with the first quarter up 19.5 percent and the 2nd quarter up 18.3 percent over 2016 numbers. We are over 60 percent of the way toward our goal of increasing the median weekly wage to $932 per month. Albuquerque has seen 48 months of consecutive job growth. In January of 2014, Albuquerque had 371,100 jobs. As of October, 2017 we have 396,200. Those 25,100 more jobs are nearly a 6.8 percent increase in jobs over that time period. City Alive’s work has been recognized nationally, receiving the 2017 Housing and Urban Development Secretary’s Award for Public-Philanthropic Partnerships. The City of Albuquerque was named as the top-ranking Resident-Involved City by Governing magazine and Living Cities. By integrating support, City Alive and its many partners have been able to build an ecosystem that is changing the meaning of economic development as we know it. We need to permanently integrate the words “inclusive” and “equitable” into the very framework of economic development. 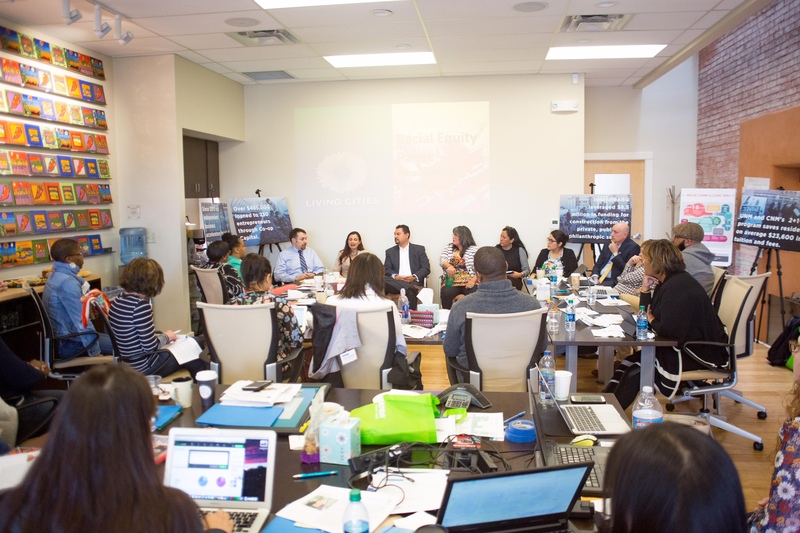 We are connecting agencies serving low-income people, communities of color, and immigrant populations with those serving entrepreneurs. Together, we are developing support systems that will generate success from the ground up.